A. 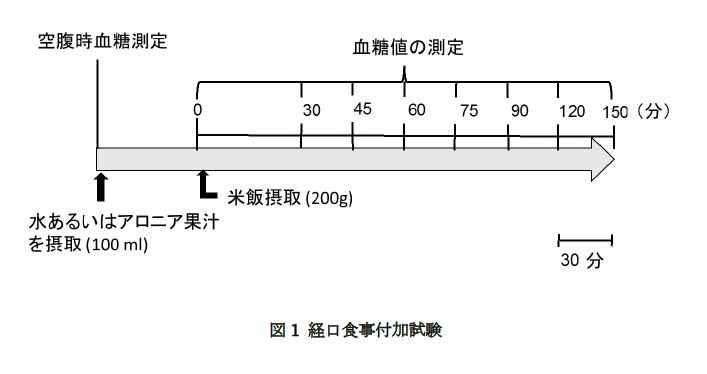 男性 (n=19), C. 女性 (n=18), E. 男性と女性 (n=37). AUC値はB.男性, D.女性, F.男性と女性に示した。*p<0.05, **p<0.01, ***p<0.001. Kulling ES, Rawel MH. Chokeberry (Aronia melanocarpa) –A review on the characteristic components and potential health effects. Planta Med. 2008; 74: 1625-1634. Badescu M, Badulescu O, Badescu L, Ciocoiu M. Effects of Sambucus nigra and Aronia melanocarpa extracts on immune system disorders within diabetes mellitus. Pharm Biol. 2015; 53: 533-539. Valcheva-Kuzmanova S, Kuzmanov K, Tancheva S, Belcheva A. Hypoglycemic and hypolipidemic effects of Aronia melanocarpa fruit juice in streptozotocin-induced diabetic rats. Methods Find Exp. Clin. Pharmacol. 2007; 29: 101-105. Simeonov SB, Botushanov NP, Karahanian EB, Pavlova MB, Husianitis HK, Troev DM. Effects of Aronia melanocarpa juice as part of the dietary regimen in patients with diabetes mellitus. Folia Med (Plovdiv) 2002; 44: 20-23. Kozuka M, Yamane T, Nakano Y, Nakagaki T, Ohkubo I, Ariga H. Identification and characterization of a dipeptidyl peptidase IV inhibitor from aronia juice. Biochem. Biophys. Res. Commun. 2015; 465: 433-436. 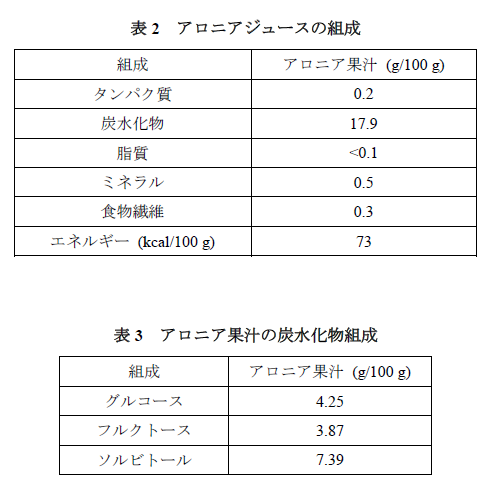 Yamane T, Kozuka M, Konda D, Nakano Y, Nakagaki T, Ohkubo I, Ariga H. Improvement of blood glucose levels and obesity in mice given aronia juice by inhibition of dipeptidyl peptidase IV and α-glucosidase. J. Nutr. Biochem. 2016; 31: 106-112. Ohkubo I, Huang K, Ochiai Y, Takagaki M, Kani K. Dipeptidyl peptidase IV from porcine seminal plasma: purification, characterization, and N-terminal amino acid sequence. J. Biochem. 1994; 116: 1182-1186. Takeuchi K, Araki H, Sakaue T, Yamamoto Y, Fujiwara M, Nishi K, Ohkubo I. Porcine germinal angiotensin I-converting enzyme: isolation, characterization and molecular cloning. Comp. Biochem. Physio.l B Biochem. Mol. Biol. 2007; 146: 215-226. Thomas WMS, David JJA. The use of the glycemic index in predicting the blood glucose response to mixed meals. Am. J. Clin. Nutr. 1986; 43: 167-172. 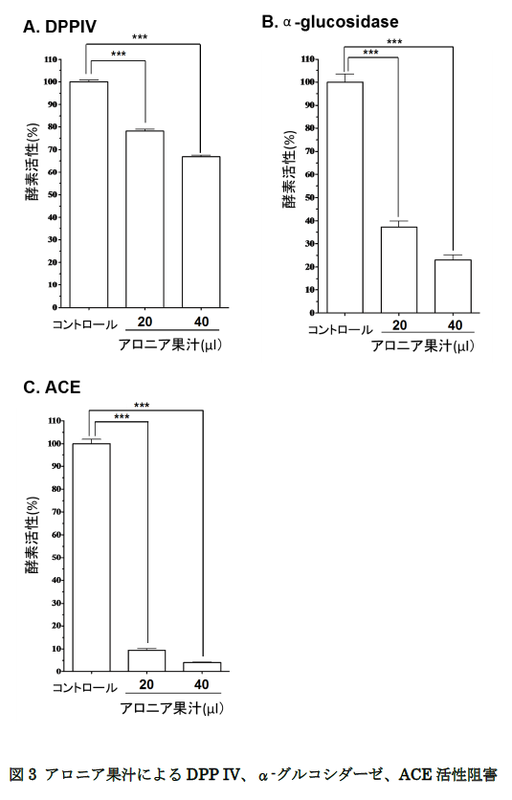 Broncel M, Kozirog M, Duchnowicz P, Koter-Michalak M, Sikora J, Chojnowska-Jezierska J. Aronia melanocarpa extract reduces blood pressure, serum endothelin, lipid, and oxidative stress marker levels in patients with metabolic syndrome. Med. Sci. Monit. 2010; 16: CR28-34. Sharma AM, Janke J, Gorzelniak K, Engeli S, Luft FC. Angiotensin blockade prevents type 2 diabetes by formation of fat cells. Hypertension 2002; 40: 609–611. Jones BH, Standridge MK, Moustaid N. Angiotensin II increases lipogenesis in 3T3-L1 and human adipose cells. Endocrinology 1997; 138: 1512–1519. 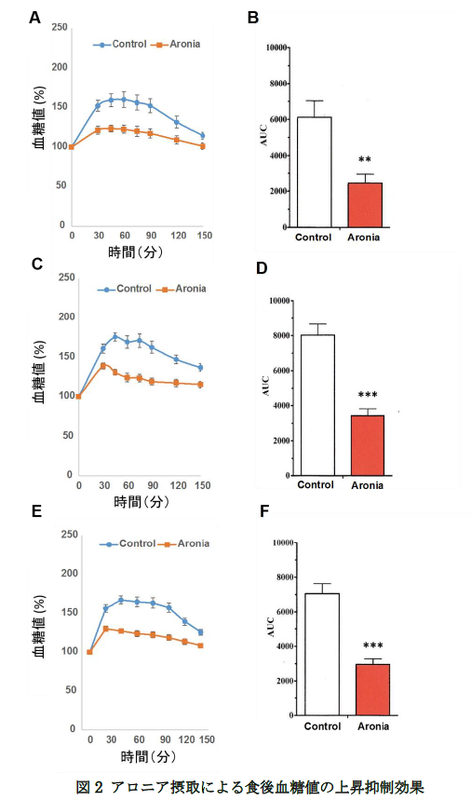 Furuhashi M, Ura N, Takizawa H, Yoshida D, Moniwa N, Murakami H, Higashiura K, Shimamoto K. Blockade of the renin-angiotensin system decreases adipocyte size with improvement in insulin sensitivity. J. Hypertens. 2004; 22: 1977–1982. Copyright NAKAGAKI CONSULTING ENGINEER & CO.,LTD. All Rights Reserved.